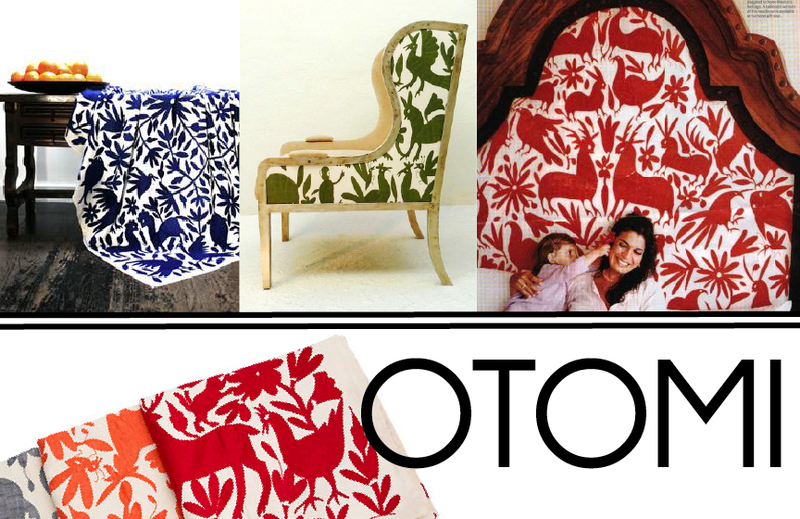 Yes, otomi textiles are catchy, but for good reason. The fanciful patterns, hand-embroidered by Mexican Otomi Indians, are reputed to be based on ancient cliff paintings -- the field/ground play in them actually remind me a bit of Hawaiian quilts! You can pick up reasonably priced pillows from Le Marche St George or coverlets from L'Aviva Home. Better yet, just schedule a flight to Mexico -- that's my plan.